*The information provided below was taken from the attached datasheet which is for a newer version of this product. The device we are selling does not have the green LED status light. West Florida Components assumes no liability for this information. 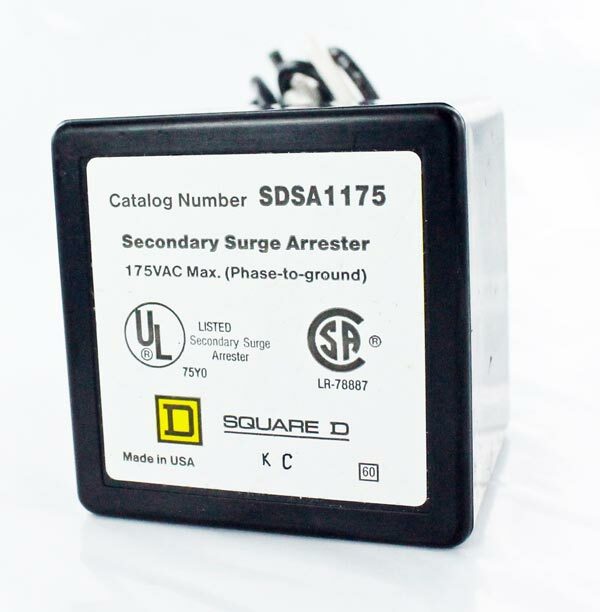 The SDSA1175 is a three-wire SPD intended to provide surge suppression for 120/240 VAC services. This is a Type 1 rated device which means it can be used with or without an OCPD (Overcurrent Protection Device). The SDSA1175 was designed for indoor or outdoor use but must be installed in an accessible location not within walls. The datasheet provided is for a newer version of the item we are selling.